J-POP SUMMIT 2017, one of the world’s biggest Japanese pop culture events will once again celebrate the latest in Japanese tech-innovations through their Interactive Summit on Saturday and Sunday, September 9th and 10th from 12pm - 5pm at Fort Mason Center, located at 2 Marina Blvd, San Francisco, CA 94123. The annual event bridges the informational gap between Japan and the U.S. to explore the Japanese tech scene and what Silicon Valley is currently missing. The Interactive Summit is a playground packed with the latest in Japanese technology. the area will feature advanced VR/AR, games, apps, and software. 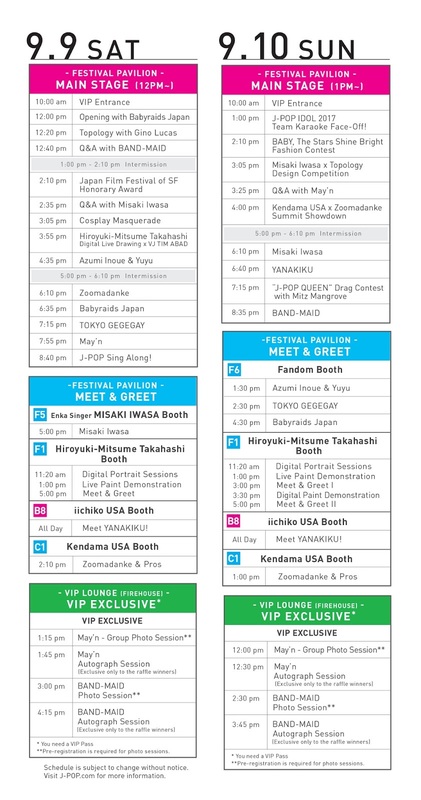 Most of the exhibitors are collaborating with J-POP Summit performing artists. Also, attendees can enjoy Beach Ball Synth – an interactive installation that brings people together through music-making, created by a team of designers from global design firm IDEO. Whatever your ticket in the venue, you can enjoy a new concert experience thanks to Komusumegane’s AR glasses . This is the first time this technology is tested in the US. They translate live lyrics, display two dimensional graphics and turn a concert into a real “manga” experience. 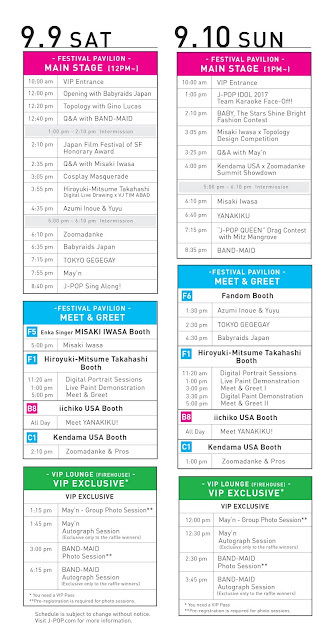 With an list of J-POP stars attending the SUMMIT, join fans during one of the “meet and greet” opportunities. Using the glasses you will be able to understand everything going on, even if you don’t speak Japanese thanks to live translation unfolding in front of your eyes. 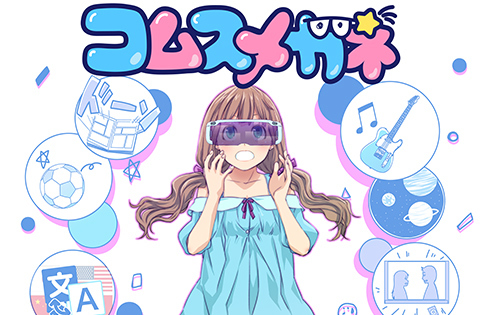 At the NTT West booth, you will be able to test the fun power of the glasses by seeing the holograms appearing as you watch a live concert video. Live and love just like in the mangas through the famous Japanese “Shall we date” social-base dating simulation game. 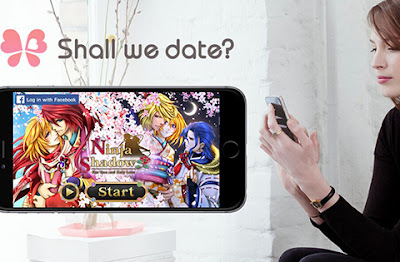 In this visual novel game, you choose a fantasy world where you can build your own love story as you play. Using AR, you will be able to meet your favorite prince or princess from the game and take kawai pictures with him or her. Because of the complexity of sounds the human voice uses, Alexa and Google homes still sound very robotic to a human ear. That’s about to change thanks to HEARTalk. It transforms a flat computer voice into a human sounding one, adding a “heart” to the machine. The technology is able to analyze speech voice in real time and adjust conversations accordingly to speed, volume, interval, etc. It is designed for devices using interactive dialogue systems ranging from interactive robots to car navigation systems. 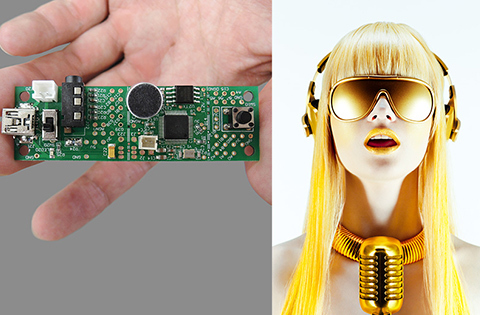 VOCALOID enables you to record your music enhanced by the addition of a synthesized singing voice created by the device. Using Yamaha’s well known experience in music, the voice is designed to sound as human as possible and offers many ranges of possibilities. They were specially recorded using actual actors and singers. Today, many characters are created using this technology, including world touring fictional hologram character Hatsune Miku . You will be able to chat with a teddy bear equipped with HEARTalk technology and test the “heart” factor yourself. Virtual drone by Xooms - Who is the best contact there for an interview? Tired of crashing your $1,000 drone into a wall? Try flying a virtual drone instead. 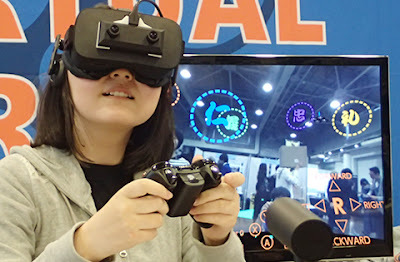 Japanese company Xooms has designed a mixed reality platform specifically geared towards drone flying and battling your friends’ drones. Using Japanese celebrities present at J-POP as targets, you will be able to test the game and battle with attending friends or strangers at the event. 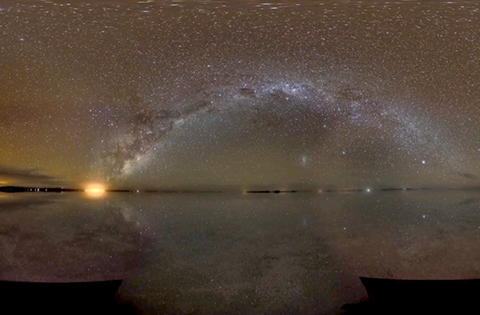 NHK, the BBC of Japan, invites you to the stunning view of Salar de Uyuni, the world’s largest salt flat in Bolivia, ALMA observatory in Chile with four large telescopes to observe the stars, and to the inside of the still-largely-a-mystery Great Pyramid of King Khufu. Pop in to their booth and experience the extraordinary in VR! 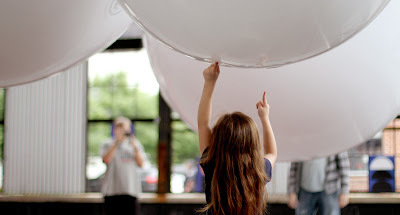 Created by a team of designers from global design firm IDEO, Beach Ball Synth is an interactive installation that brings people together through music-making. Giant beach balls with sensors encourage the creativity of kids, adults, and aspiring musicians by using play as the interface for music. For the full list of exhibitors, check it out here. Download the festival guide here.